Inventory is one of the largest expenses for many organizations, which is why most companies are keenly aware of inventory levels. Before computers, tracking inventory involved single-stage calculations done by hand per item, per location. This made it difficult, if not impossible, to attain true visibility across large supply chains. The debut of the Universal Product Code (UPC) in the 1970s sparked a revolution in inventory efficiency—first within the grocery industry and then other retail establishments. Handwritten inventory processes were gradually replaced by barcode scanning and computer data entry. The inventory systems of today are, in comparison with these early methods, highly sophisticated, and are now capable of multi-stage, multi-site management, tracking, and analytics. The software market is saturated by diversity in scale, purpose, and functionality, which makes the buying process extremely complicated. 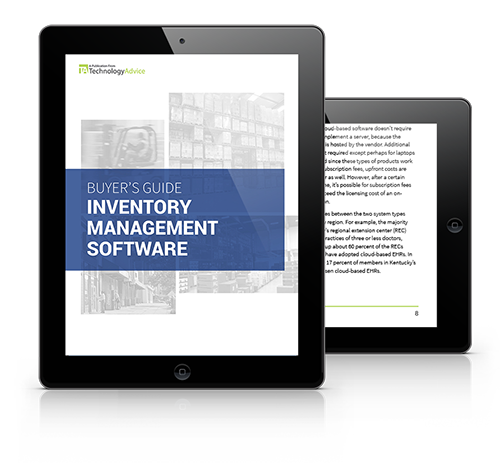 This guide divides inventory management into three discrete categories—retail and small business; warehouse/supply chain management (SCM); and enterprise resource planning (ERP)—and compares the leading solutions in each.